Long before Mike Pitts discovered the stonehole alongside the Heelstone Flinders Petrie wondered if it existed. By Sir Flinders Petrie, F.R.S. 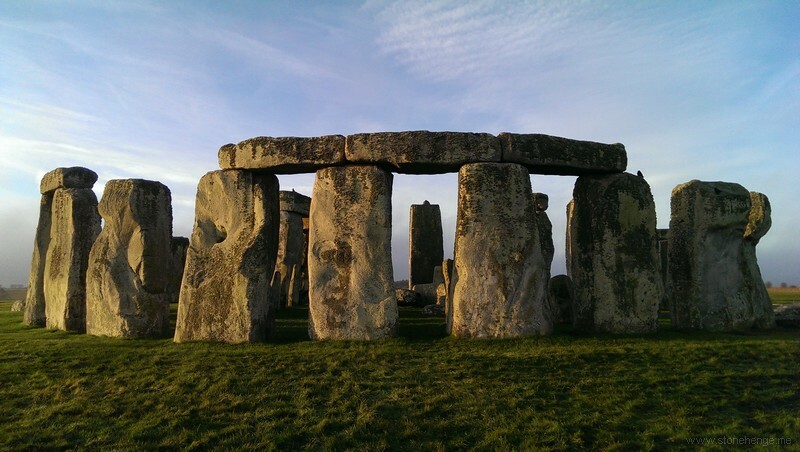 If the first appearance of the sun is in the axis of Stonehenge, its complete appearance must be east of that. I had long ago thought that the Heel stone marked the complete view of the disc, and on rough calculation it seems that the complete sunrise is 49' east of the first glance. The Heel stone viewed from the trilithon is stated to be 72' east. But the view might be taken from further back along the axis. Though the original width of the trilithon gap is uncertain, yet the entrance gives a limit, and the line most parallel to the axis from entrance to the peak of the Heel is about 60' from axis. Thus it might be possible for the axis to be at the first gleam, and the Heel at the full disc, with a discrepancy of 12'. This brings it within the small amounts that need to be verified by observation on the spot. Was the peak or the centre of the Heel stone intended as a mark? Yet, after all, has anyone verified that there was not a fellow to the Heel-stone, making a pair symmetric to the axis? "Yet, after all, has anyone verified that there was not a fellow to the Heel-stone, making a pair symmetric to the axis?" Lots of people would like to believe that Stone-97 was an extant mate of the Heelstone, but fail to note that they are not symmetrical either to one another or the Avenue. I will go to my grave convinced that S-97 IS the Heelstone, shifted when they decided it would be cool if its shadow penetrated the Stone Circle. The shape of -97's hole suggests it was rotated 45-degrees to the right and moved back, carefully planted for the desired apex alignment. Here is the Stonehenge cored Micaceous Stump (80/96) summary. The Altar Stone (80) was originally erect in Stonehole 96 and the Heel Stone (96) was originally erect in Stonehole 97. 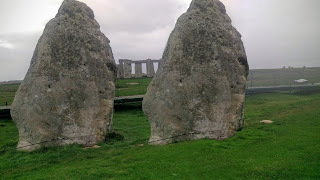 In 586 BC the erect Altar Stone (80) was moved to centre Stonehenge and reset recumbent. Thanks for pics. Hope that helps.